A love of the outdoor was the inspiration for this handsome original Tall Pine Trees Folding Fire Screen. 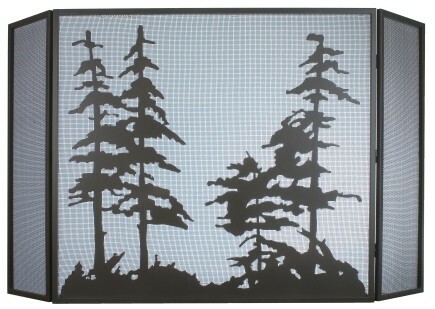 This Pine Tree firescreen has a Timeless Bronze finish and is backed with a mesh screen. Made in the U S A. 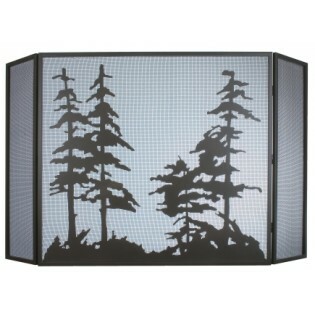 A love of the outdoor was the inspiration for this handsome original Tall Pine Trees Folding Fire Screen. This Pine Tree firescreen has a Timeless Bronze finish and is backed with a mesh screen.